Your spine is designed in a very specific way with a very specific function. It supports your weight and protects your spinal cord which is the link from your brain to the rest of your body and is responsible for sending messages from the nerves to and from the brain. Since your spinal nerves are linked all throughout the body, problems with them can affect many other body functions. 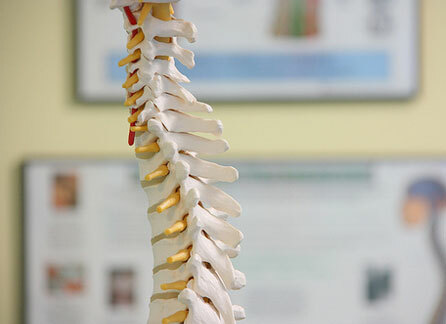 General degradation and wear as well as disease can be responsible for these problems which can include problems with the vertebral discs or the nerves along the spinal column being pinched. There are many factors which can worsen the general wear of the spinal column like bad posture, falls or strains or even just general ageing. Stenosis surgery might aid in the relief of the pain associated with some of these ailments. Degradation and normal wear in the spinal vertebrae in the case of accident, injury or diseases like osteoporosis can cause cracks or breaks in weakened bones. These kinds of breaks are more common in older people and sufferers of both osteoporosis and bone tumours. The breaks or fractures in the spinal vertebrae can lead to the collapse of the vertebral discs and are called vertebral compression fractures. Often, surgery will be elected to repair the vertebrae and vertebral discs. For the stenosis surgery procedure the patient will be put under general anaesthesia and a long incision is made along the spinal column. After the incision is made, the left and right muscles of the back are dissected on both sides to make the spinal column visible to the surgeon. Once the spinal column has been made visible, the surgeon will remove the lamina (the arched part of the vertebral bone) to expose the spinal roots around the affected area. To complete this procedure, the surgeon will then trim the facet joints that lie directly over the nerve roots to give them more space for decompression. Recovering from a stenosis surgery procedure is a long process and patients are often kept in hospital for up to three days. The true recovery time is heavily dependent on the patient’s pre-operation condition and age. Straight after the operation, the patient’s surgeon should encourage the patient to walk around and do some laps of the hospital floor or their room. It is important to not bend or flex too much and definitely avoid lifting heavy objects for a few weeks to give the stenosis surgery procedure site time to heal. The stenosis surgery procedure is completely covered by the NHS and all costs associated with the procedure are covered in full, so if you are a candidate for this operation you will be able to receive it without worrying about the money stress. If you do need to pay for the operation, a consultation with a surgeon should get you an approximate cost as this operation has a lot of varying factors and an estimate is not possible.